GP Login with Active Directory - Is it really required? 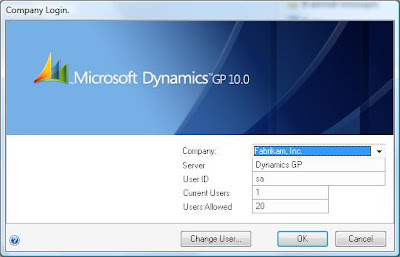 A user reported that when Dynamics GP V10 is installed on a server and trying to login as ‘sa’ user for the first time in GP, it is returning the following error message. I found the below idea in one of the forums and liked it! Auto login for Microsoft Dynamics GP!